The National Art Museum of Sport (NAMOS) is inviting sport artists to participate in its inaugural juried “Commitment to Excellence in Art and Sport: A Fine Art Competition” and exhibit. Up to 50 paintings, sculptures and photographs depicting sport selected by a jury, will be exhibited at the museum on the campus of Indiana University-Purdue University Indianapolis (IUPUI). The exhibit is scheduled to open in November and close 1 April 2011. Submissions to the competition are to be made through www.juriedartservices.com (click on the NAMOS logo to apply). The submission deadline is 15 October. Entries are to be original art work and be submitted by digital images. Eligible entries must have sports as a subject, individual or team, competitive or recreational, participant or spectator, remembered or studied, still life, figurative or landscape. There are three categories: Painting (oil, acrylic, watercolor or mixed media), sculpture (bronze clay or composition, stone, or wood) and photography. Except for entries in photography, work must be produced by the “hand of the artist” – no digital or computer art. All present or past athletes (amateur or professional) who have become artists are encouraged to enter and compete. Medals and prize money will be awarded to the top three winners in the competition’s three categories with the opportunity to be part of the NAMOS permanent collection. There will also be a $2,500 prized for “The Germain G. Glidden” award for best in show. The competition will recognize artists who have dedicated their lives in the pursuit of interpretive, realistic or narrative art celebrating sport. It will further NAMOS’ mission to promote the visibility, accessibility, understanding and preservation or art depicting sport. 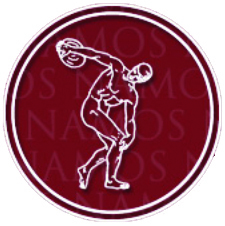 NAMOS was founded in 1959 in New York City by the late Glidden, a portrait artist and national squash champion. It has been housed at University Place – IUPUI since 1994.